Established in 1978 by President Jimmy Carter to honor the late Vice President Hubert H. Humphrey—who was a long-time advocate of international cooperation and understanding—the Hubert H. Humphrey Fellowship Program brings accomplished mid-career professionals from countries with developing and emerging economies to the United States for professional and leadership development. 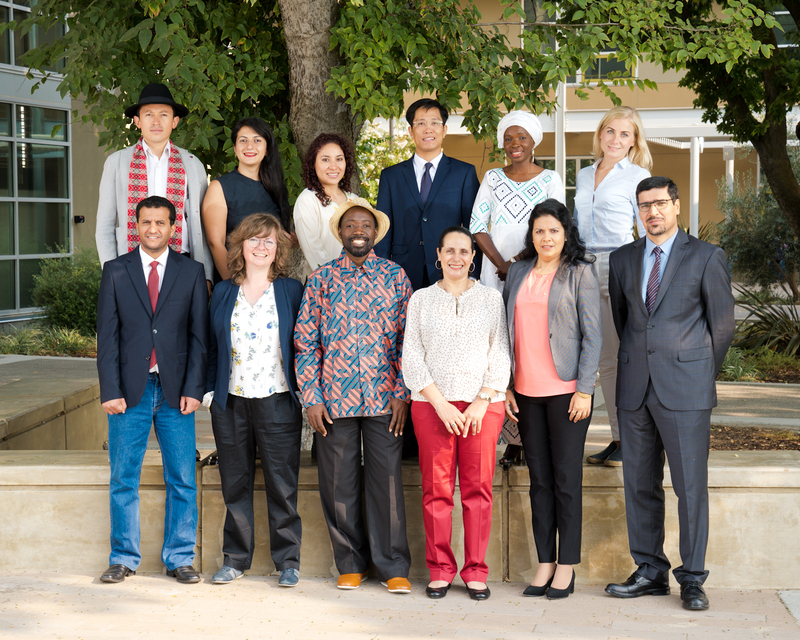 2018-19 UC Davis Hubert H. Humphrey Fellows. UC Davis has hosted the Humphrey Program from 1986 until 1996, and again since 2001, hosting 285 fellows from more than 100 different countries. One of 13 universities selected across the nation to host the program for 2018-19, UC Davis offers professional development and collaborations for fellows in the fields of agricultural and rural development, natural resources management and environmental science. Through collaborations with UC Davis faculty, advisors, and professional affiliations, lasting ties between UC Davis, partners, and community members and our Humphrey Fellows are formed. Often UC Davis faculty even continue working on projects as Humphrey Fellows transition to Humphrey Alumni. The 2017-18 UC Davis Humphrey Fellows at a Global Affairs reception in their honor, which featured special guests from the Fulbright Foreign Scholarship Board in 2017. Alongside their leadership projects, Humphrey Fellows at UC Davis also participate in a number of community events—from volunteering with solar energy organizations and at community dinners to providing course lectures and engaging with seminars on campus and in the community. It often being their first visit to the U.S., our fellows learn American customs and culture, and at the same time, share their experiences and perspectives with the UC Davis and surrounding communities.